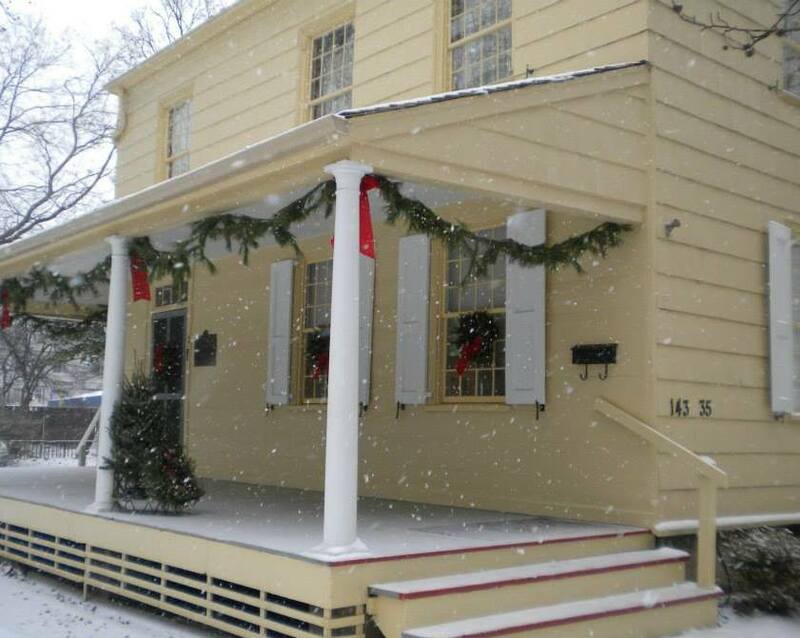 On Sunday December 7th, the Flushing Friends’ Meeting House will be a stop on the 27th Annual Holiday Historic House Tour in Queens. Sponsored by the Queens Historical Society, the tour is an opportunity to visit seven NYC Landmark sites, while celebrating the holiday season with special activities and refreshments. The Flushing Friends Meeting House is the oldest house of worship in New York State. Friends have been worshiping in the Meeting House since 1694, and its walls hold stories of British occupation, abolitionism, and advocacy for peace. Read more about the history of the Meeting House, the adjoining historic graveyard, and the history of Flushing Meeting. In addition to the Meeting House, the tour includes The Kingsland Homestead, Voelker Orth House, Lewis H. Latimer House Museum, Flushing Town Hall, the Bowne House, and the Louis Armstrong House Museum. The tour takes place from 1 :00pm – 5:00pm on Sunday, December 7th. Visitors can start at any of the sites, and visit each of the sites at their own pace, either by walking or using provided van transportation. Adult tickets are $20 in advance or $25 at the door. Children under 12 are $10. Buy tickets in advance online at HolidayHouseTour2014.eventbrite.com.